Everyone knows a job seeker needs a resume. But there’s another job search tool – a tool kit, actually – that’s just as important. Even before you prepare your resume, start developing a list of accomplishments or “success stories” that illustrate your experience, skills and strengths. You won’t show this to employers, but you’ll use it as source material for interviews, networking conversations, your resume and other materials. And yes, I know this picture isn’t a tool kit. 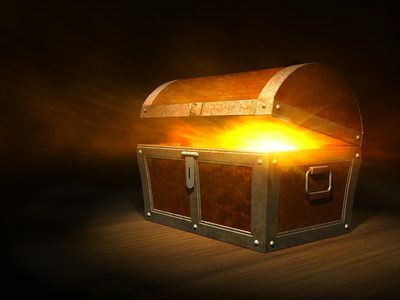 It’s a treasure chest, because that’s how valuable these stories can be. In a previous post I wrote about one of the most powerful interview storytelling techniques, the SOAR technique (including the Situation, Obstacles, Actions and Results), and I promised some additional tips on how to use SOAR stories. Keep a SOAR stories list – forever! First, come up with maybe 20 good stories. See my post “How to Identify Your Accomplishments” for tips. Keep a written list in your computer, not just in your head or on paper. You’ll need to be able to add to it, edit it, and find it easily, even after this job search. Keep it forever. Give each story a unique title, e.g., “PeopleSoft Implementation at Bigg Co.” or “Team-Building after TechSys Merger.” This helps you remember them. Do NOT write the stories word-for-word. (This makes the list long and unwieldy, and may cause you to recite the stories in a stilted, unnatural way at your interviews. Very unconvincing!) Instead, just note the key points in outline form, avoiding full sentences. If you feel you absolutely must write out your stories in full, do that only as an intermediate step. Then immediately turn the full story into an outline and practice telling the story from that. Identify the Skills and Strengths. Under each SOAR story in your list, jot down the Skills and Strengths you demonstrated in achieving the result. For example, if you identified the need for a new software in your office, sold the idea to management, then selected and installed the program, you may have used the following skills and strengths: initiative, research skills, presentation and persuasion skills (to convince management), technical skills, training skills, team leadership, change management, cross-functional collaboration, attention to detail and analytical skills. While you won’t mention this list of skills and strengths in telling the story, it’s useful for your own reference. This way, when an interviewer asks you to tell about “a time when you collaborated cross-functionally to achieve a goal,” or “a time when you took the initiative,” you’ll know you have a story to illustrate that. Study and practice with your list. Practice talking through the stories – by yourself, with friends, and maybe with an interview coach. Study and prepare as you would for an oral exam where a high grade could make you thousands of dollars. Because that’s exactly the case! Be ready for behavioral interviews. A behavioral interview question, typically starting out with “Tell me about a time when,” requires you to tell a story from your experience. Many interviewers focus heavily on behavioral questions. If the interview is long, or if there are several interviews, you may need many stories! Tell a story even when it’s not required. Maybe your interviewer has never heard of behavioral interviewing and just asks general questions like “What’s your management style?” Instead of just saying you focus on motivating each individual, include a story that illustrates that style – and how it has led to great results. Hint: It’s easiest to fit stories into your answers if you practice both long (30-60 seconds) and short (10-30 seconds) versions. What are your key selling points, the most crucial reasons why you’re the best person for the job? Let’s say your top three are your people skills, your analytical abilities and your 10 years of experience. It’s easier to prove the 10 years of experience, but how can you prove the other two? By giving examples – also known as SOAR stories. Claiming you have a certain talent isn’t enough. A story is worth a thousand claims. Interviews aren’t the only time for telling a story. You need everyone you meet in your job search to be left with a strong impression of your abilities. To avoid sounding “full of yourself,” be concise – which takes practice! – and listen more than you talk. Your networking partner probably has stories of their own. As you develop your list of stories, you’ll probably discover great new material to improve your LinkedIn profile, resume, cover letters and other marketing tools. Of course, for these purposes you’ll need to boil them down to short bullet points. 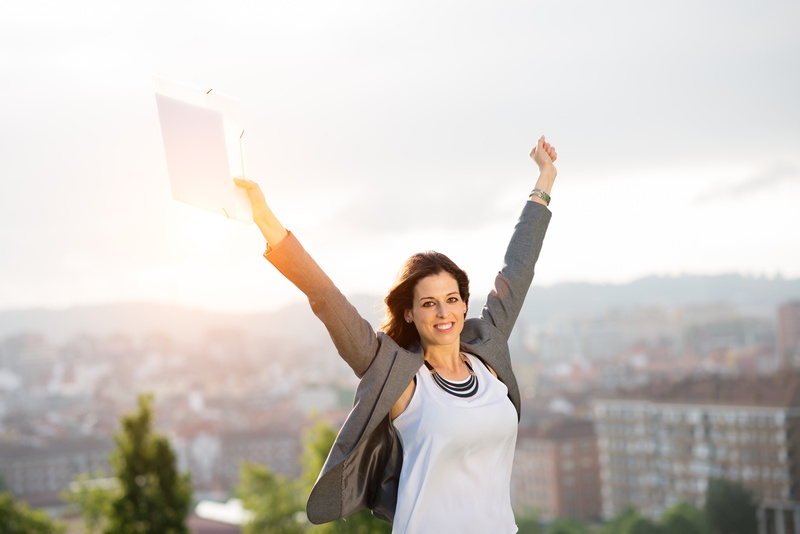 Your success stories list is there behind the scenes, the unsung hero of your job search. It is a crucial, must-have tool, so give it a high priority.